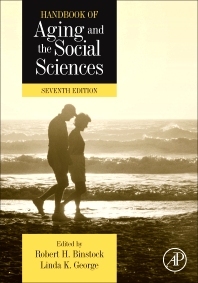 Handbook of Aging and the Social Sciences, Seventh Edition, provides extensive reviews and critical evaluations of research on the social aspects of aging. It also makes available major references and identifies high-priority topics for future research. The book is organized into four parts. Part 1 reviews developments in the field of age and the life course (ALC) studies and presents guidelines on conducting cohort analysis. Part 2 covers the demographic aspects of aging; longevity trends; disability and aging; and stratification and inequality research. Part 3 includes chapters that examine socioeconomic position and racial/ethnic disparities in health at older ages; the role of social factors in the distribution, antecedents, and consequences of depression; and aspects of private wealth transfers and the changing nature of family gift-giving. Part 4 deals with pension reform in Europe; the political activities of older Americans; the future of retirement security; and gender differences in old age. The Handbook is intended for researchers, professional practitioners, and students in the field of aging. It can also serve as a basic reference tool for scholars, professionals, and others who are not presently engaged in research and practice directly focused on aging and the aged. Linda K. George is Professor of Sociology at Duke University where she also serves as Associate Director of the Duke University Center for the Study of Aging and Human Development. She is a fellow and past president of the Gerontological Society of America (GSA). She is former chair of the Aging and Life Course Section and the Sociology of Mental Health Section of the American Sociological Association (ASA). She is former editor of the Journal of Gerontology, Social Sciences. She is currently associate editor of Social Psychology Quarterly and former associate editor of Demography. Professor George is the author or editor of eight books and author of more than 250 journal articles and book chapters. She co-edited the third, fourth, fifth, sixth, and seventh editions of the Handbook of Aging and the Social Sciences. Her major research interests include social factors and illness, stress and social support, and mental health and well-being across the life course. Among the honors Professor George has received are Phi Beta Kappa, the Duke University Distinguished Teaching Award, the Mentorship Award from the Behavioral and Social Sciences Section of GSA, the Dean’s Mentoring Award from the Graduate School of Duke University, the Kleemeier Award from the GSA, and the Matilda White Riley Award from the ASA.